It’s that time of year again. Summer goes by much too quickly for most people. When the heat of the Summer is at its highest, we can’t wait for the colder weather, but then when it comes it seems like we aren’t prepared for it. It’s time to break out the Drymax Cold Weather Socks! In cold temperatures, moisture is your enemy. Moisture pulls heat away from the skin 23 times faster than air. Moisture can reduce skin temperature so rapidly that wet feet feel painfully cold. Wet, damp feet are also more susceptible to blisters. Drymax Cold Weather Socks have a special dual-layer moisture removal system that instantly moves moisture from the skin, through the inner Drymax layer to the absorbent layer, keeping feet dry. Need more proof of how Drymax keeps feet dry? Watch this quick video demonstration! Jill Outside, a cyclist and endurance trail runner, writes about her favorite winter gear, which includes Drymax Cold Weather Socks worn under vapor barrier socks. I have never heard of vapor barrier socks, but it sounds like a great concept to keep your feet warm. I am very familiar with Drymax Cold Weather Socks, as they keep my feet warm when I go into the great outdoors here in cold, wintry Pennsylvania. 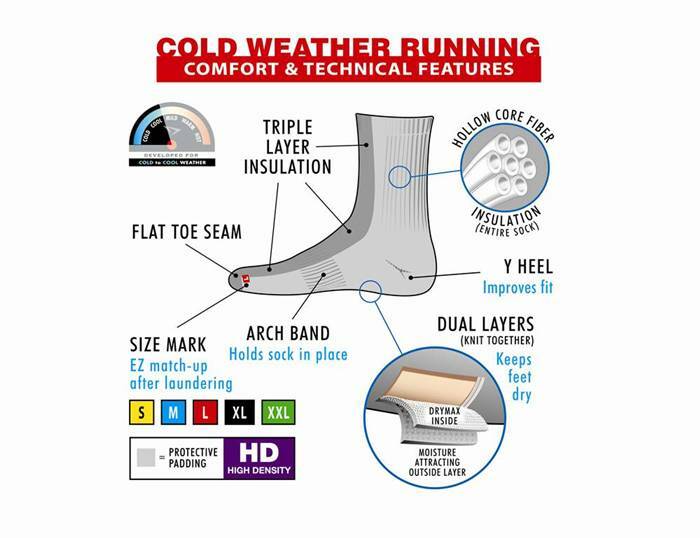 Drymax Cold Weather Socks — Don’t Be Left Out in the Cold! The Drymax Cold Weather Crew Socks are selling like hotcakes, literally. Or is that coldcakes? One of the hardest challenges in cold, freezing temperatures is keeping your feet warm and toasty. Once your feet get cold, the rest of you will be miserable. Staying dry is the key to staying warm in cold weather. Moisture pulls heat away from the skin 23 times faster than air. Yet we walk around in moisture all winter long — it’s called snow. Moisture can reduce skin temperature so rapidly that wet, damp feet feel painfully cold. 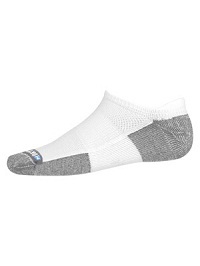 Drymax socks have a special dual-layer moisture removal system that keeps feet dry. 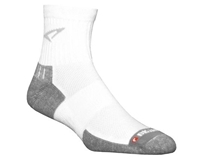 The moisture-attracting outside layer draws moisture to the outside of the sock, keeping your feet warm and dry. 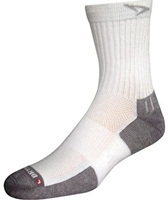 Drymax Cold Weather Crew Socks are a high density protective padded sock. Think “thread counts” in your bed sheets. 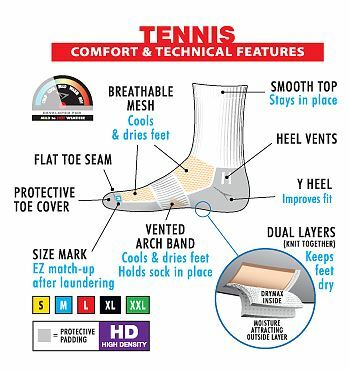 A high density (HD) sock has higher thread counts compared to a lower density sock. This little illustration tells the story. 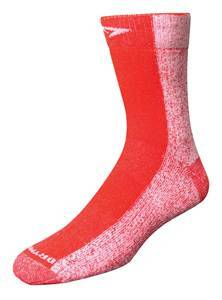 The Drymax Cold Weather Socks are considered a high density sock, so this helps to aid in the insulation factor. They are knit with hollow core polyester fibers on the outside to increase the insulation factor. The front of the sock has a third layer of Drymax fiber insulation, since that area is inclined to get the coldest due to wind chill. 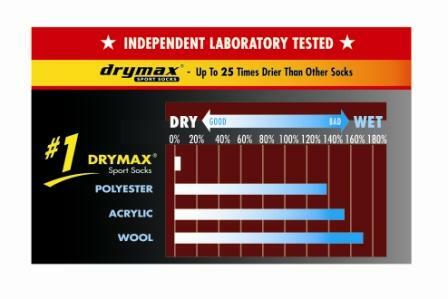 Independent laboratory tests have proven that Drymax Socks are the #1 Sock to keep feet dry — up to 25 times dryer than other socks. 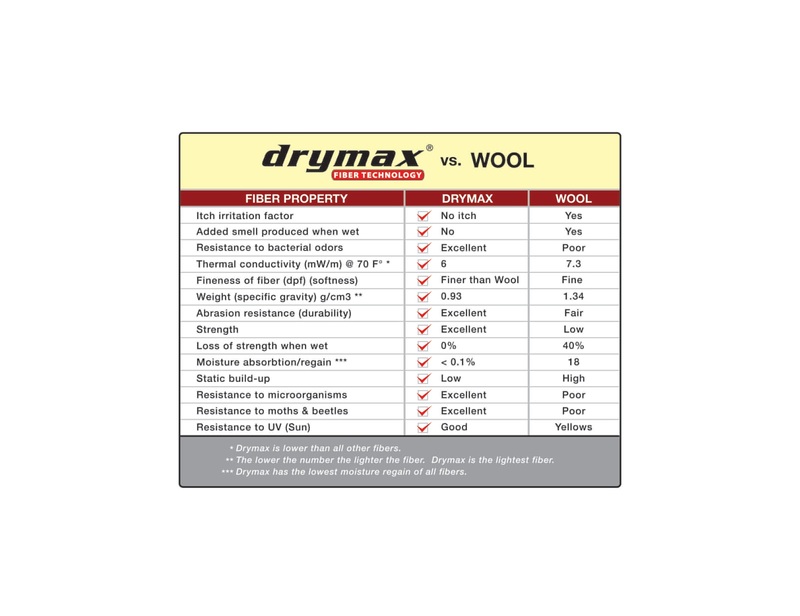 Cotton is the absolute worst because it attracts and holds moisture, but even wool socks are no comparison to the fiber technology in Drymax Socks. Needless to say, we are smitten with the technology in Drymax Cold Weather Socks. There is nothing worse than cold, freezing feet!